For me every new year is an opportunity to reflect on my past accomplishments and plan for new challenges. This past year I started to dabble with watercolors as a results of getting into urban sketching and one of my challenges for this year is to acquire more skills with this medium. On top of material I had lying around, also I received a new set of paints, watercolor papers and a book on the subject. It will be interesting to see how far I can take this during the year. As I was doing a little bit of research on watercolor online, I found out about this amazing watercolorist named Cheng-Khee Chee who's deductive technique is mesmerizing. He did things I didn't think was possible with watercolors, as you can see in the video below. 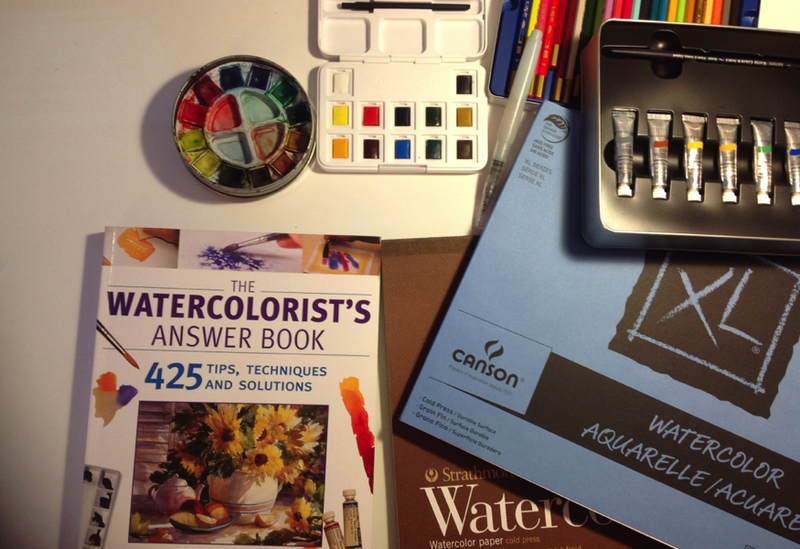 It probably takes a lot more than a year to get to that level, but it's definitely a great point of reference when it comes to the possibilities of watercolors.